If you always wanted to know how an executioner earned extra money and which herbs were originally grown in abbey gardens, or even if you would like to “go to the dogs” you can be led into the world of the Middle Ages by a city guide in historic dress and find out about everyday life which was dominated by religious faith and a closeness to the natural world. The Middle Ages tour lasts for about two hours, and as it takes you to visit old churchyards you and your fellow visitors will discover lots of hidden facts. Rheydt yesterday and today: a tour through Rheydt which lasts about an hour and a half and reveals the history of the town by giving you a personal experience of how people lived and worked. Visitors will learn interesting facts about the history of Rheydt, its town hall, churches and culture, as well as hearing anecdotes about the town, and much more besides. On this tour you’ll learn about many things – ranging from the pheasant’s eye plant that grows around the crypt of the minster to sacred artworks and impressive architecture. Let yourself be transported into the dark world of the Middle Ages and find out about the mysteries surrounding Mönchengladbach cathedral. In Gladbach city centre there are many artworks in public spaces. The former abbey garden in particular – which is now the sculpture garden below Abteiberg Museum – contains a wealth of artworks. Some of these works of art are associated with a special story and tell of amusing or tragic events. This tour shows you how art brings people into contact with stories and history. 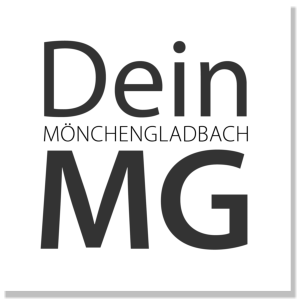 Discover Mönchengladbach for yourself through games. Once the participants have been welcomed and divided into teams, the game can begin. The participants set out to discover unknown and curious aspects of Mönchengladbach. Each question puts the creativity of the people taking part to the test. This is the place to come if you’ve always wanted to go on a tour of Mönchengladbach city centre in a horse-drawn carriage or wagon. Travelling only slightly faster than at walking pace you’ll hear what the Bunter Garten is said to have been called originally, where you can find Lapland in Mönchengladbach, what Hindenburgstraße looks like from a horse-drawn wagon, and lots more besides. You’ll travel sedately through Hardter Wald in a horse-drawn wagon as people used to do. You’ll enjoy this great tour through the wood with your friends, colleagues or family. If you like, you can book a specifically chosen fully-inclusive tour, but this option is only available for groups. Wickrath castle is embedded in a five-sided, crown-shaped area of parkland which is liberally decorated with garden architecture and large bodies of water. On a walking tour of the impressive and lovingly restored castle grounds “Wickrather Schlossgeschichten” will bring the magnificence and splendour of the baroque period to life. During this tour which lasts for about an hour and a half you will be shown various native and non-native plants, and their special features and the mythology associated with them will be explained. You will also be given an insight into the wealth of plants in the Botanical Garden which blossom at different times throughout the year. This walk through the old town of Mönchengladbach will provide you with a very unusual history lesson. As the day draws to a close the secretive monk invites you to listen to exciting stories about the town. On this walk you will hear about the life of Count Balderich, his connection to present day Mönchengladbach, and many more fascinating stories. You can round the tour off by spending the rest of the evening relaxing in a pub in the old marketplace (Alter Markt). The Gladbach river which is only visible in a few places nowadays led to the founding of Mönchengladbach over a thousand years ago. During this tour along the Gladbach valley which takes an hour and a half you will learn a lot about the former importance of the watercourse, but also about the history of the town – from the founding of the abbey and through the Middle Ages and the development of the city in the 19th century to the modern city including Abteiberg Museum. With a halberd, horn and lantern the night watchman takes you on a journey back to a long-forgotten time. Historical squares and buildings are part of our tour just as much as yarns and tales from the city’s history. Find out who the three most important people in the lower orders were, and the duties that a night watchman had to perform. Accompany the night watchman on visits to places that you would never have guessed to be so important, and learn the stories that are bound up with them. Immerse yourself in the busy and eventful lives of the night watchmen of old.